Photovoltaic systems (stand-alone, grid-connected) are systems which use solar cells to convert light into electricity. A photovoltaic system consists of multiple components, including cells, mechanical and electrical connections and mountings and means of regulating and/or modifying the electrical output. Grid-connected systems are connected to a large independent grid (typically the public electricity grid) and feed power into the grid. The feeding of electricity into the grid requires the transformation of DC into AC by a special, grid-controlled, inverter. On the AC side, these inverters must supply electricity in sinusoidal form, synchronized to the grid frequency, limit feed in voltage to no higher than the grid voltage including disconnecting from the grid if the grid voltage is turned off. On the DC side, the power output of a module varies as a function of the voltage in a way that power generation can be optimized by varying the system voltage to find the maximum power point. For safety reasons a circuit breaker is provided both on the AC and DC side to enable maintenance. Like other electrical equipment photovoltaic systems must function correctly in the electromagnetic environment and they may not be influenced by strong interference emissions. Grid-connected inverter may affect the normal operation of the network and other devices connected to it and therefore need not comply with certain standards and regulations. 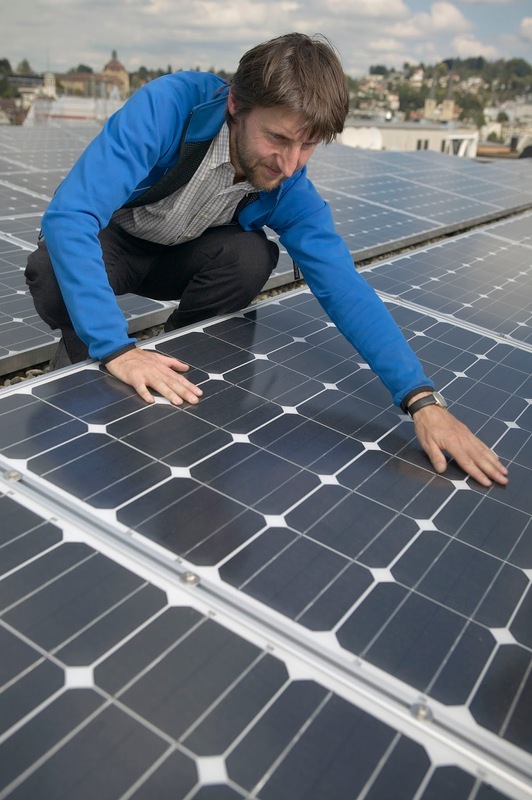 Since photovoltaic systems (such as household appliances) are often operating in residential buildings, the application of these standards is highly suggested in order to reduce unwanted electromagnetic interference from and towards the photovoltaic system and to extend the overall photovoltaic system lifetime. Photovoltaic (PV) systems require special know-how and specially developed products. to protect photovoltaic system equipment and conductors against overcurrent and overvoltage conditions. As industry standards are shifting and 1000 VDC protection is becoming more common, SCHURTER continues to develop fuses and fuse holders that meet this requirement at both high and low amperages. They are designed for DC applications of up to 1000 VDC and are capable of safely break-ing nominal currents of up to 30 A, making them perfectly suitable for short circuit protection in the individual lines of PV systems. SCHURTER provides suitable surge protection AVTS, AVTP, AVTT 7 components. SCHURTER will perform all necessary preliminary tests concerning immunity and interference in the photovoltaic system or equipment. Our EMC competence center is equipped with all the measurement tools necessary and an EMC chamber for measuring line-bound interference. Upon request we will conduct measurements on site to eliminate interference in the solar power system using our mobile measurement tools.